Dark Souls: Remastered is an enhanced port of 2011’s critically acclaimed and highly influential action RPG Dark Souls, originally released on Xbox 360, PS3, and later ported to PC. It aims to present a definitive edition of the original game, rendered in full 1080p (up to 4K on PS4 Pro/Xbox One X/PC) and bringing the original’s often-choppy framerate up to a solid 60FPS in all areas. The game has also been given a few graphical polishes and system tweaks, but the core experience is essentially unchanged. 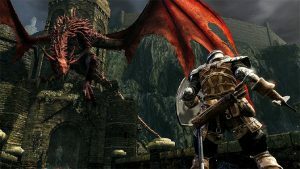 The original Dark Souls has permeated videogame discussion and criticism to such an extent that it’s now difficult to consider the game in isolation. 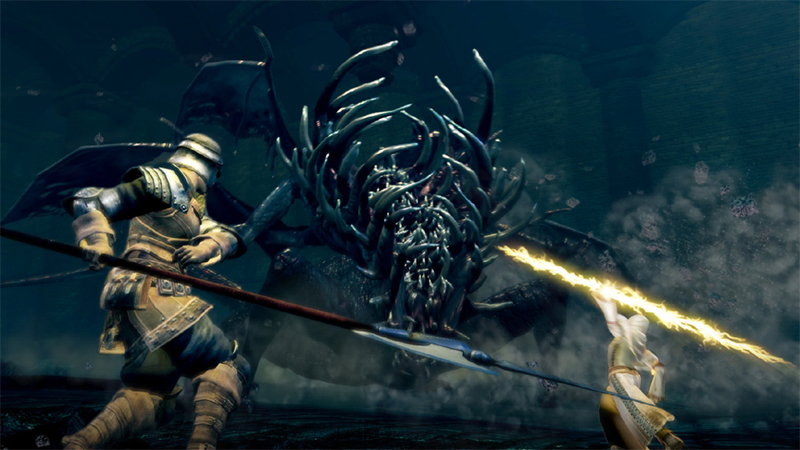 A successor and semi-official sequel to 2009’s PS3 sleeper hit Demon’s Souls, Dark Souls took the original’s mechanics, refined them and set them in a more intricate and interesting environment. The result was a game that impressed critics and divided players – for every person absorbed by the game’s deep combat system and sprawling world design, another was put off by its tendency to be harsh and unforgiving, punishing inexperienced players with frequent death and lost progress. The Western marketing campaign for the game leaned into the latter concept, solidifying the game’s reputation as a nigh-insurmountable challenge, suited only to the expert gamer with something to prove (and while I disagree with that conception of the game, I will concede that this marketing approach produced one of the finest videogame trailers ever published). Seven years later it’s undeniable that the game was a phenomenon in videogame culture, its ideas still influencing current-generation games. Any new game with a hint of challenge will inevitably be referred to by someone, somewhere, as the Dark Souls of its genre (a fact rather insufferably alluded to on the back of Remastered’s European disc case). Whole books have been written about both the content and influence of Dark Souls, and – full disclosure – I’ve read some of them. I’ve spent a lot of time in Lordran. I approach writing this review as a card-carrying Dark Souls Fan. But part of the aim of this remaster is to introduce an older game to an audience that might have missed it first time around, so I’ll try to discuss it in that context, rather than assume you’ve played it and only talk about the remastered features. In the story of Dark Souls, you are the Chosen Undead. In a world in decline, as the gods slowly wither away, humans have stopped dying – if killed, they simply resurrect as an Undead. The more this happens, the less of their humanity they retain, and they eventually lose their minds and become Hollow. Those branded with the mark of the Undead are sent to the wretched Undead Asylum, and it is in a cell in this asylum that you begin the game. With the help of a mysterious knight, you effect a jailbreak and are sent on a quest to ring the Bells of Awakening and learn the ultimate fate of the Undead. 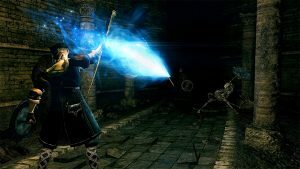 For all it’s hailed as revolutionary, Dark Souls did not arise, unique, from some previously unexplored passage in the videogame mines. It wears its influences in the open. Its lock-on swordplay combat is an evolution of the Z-Targeting system originally popularised by Ocarina of Time. 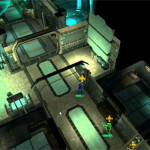 Its interconnected world design – a complex-but-learnable 3D map punctuated by respawning enemies and scattered fights with enormous bosses – calls back memories of Dracula’s castle in Castlevania: Symphony of the Night, and Metroid Prime’s Tallon IV. 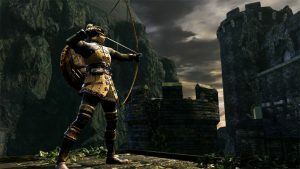 Like those games, Dark Souls wants you to explore, and once you’ve begun it leads you on a long, weaving, winding trail through an intricately constructed world – from your home shrine up to a towering cathedral, then down into the sewer-like Depths and nightmarish Blighttown, and back up to the dizzying heights of Anor Londo… and then down deeper, and then up higher. Each new location connects to older ones, often in surprising ways, and much of the fun of the environment is in the way it slowly unfolds and reveals its larger structure. By the time you’re done you’ll know the world of Lordran like a familiar neighbourhood. Combat in Souls is deep, and deeply customisable. There are a broad range of weapons to find within the game. They’re classified into several basic types – swords, maces, halberds etc., all with different stat requirements for wielding, but within each type there are several variations, often with specific or unique movesets. You can pair these with multiple types of shield – from small bucklers designed to help you parry blows and leave enemies open to devastating counterattacks, to massive greatshields that function as heavy walls between you and your opponents. There are also three different magic systems to choose from, each with their own strengths and weaknesses. While the game never locks you into a specific path (you can freely use any weapon or spell you meet the stat requirements for), you can’t create a character that can effectively use all types at once. You’ll find your niche and level your stats to support it – you can always try out something else next time around. 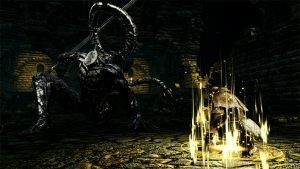 The difficulty question hangs over every discussion of Souls, or at least, every discussion with players who haven’t beaten it. It’s a more complex question than immediately apparent, and has been endlessly pored over in the critical discourse (and, less productively, on intenet forums). As a person who’s beaten all three Dark Souls games multiple times (DS1 in particular), it’s difficult to present an opinion uncoloured by experience, but the general consensus among Souls fans is that the games are not nearly as difficult as new players believe, nor is the promise of a crushingly difficult challenge the primary draw of the series. That said, the first few hours of the game certainly present a significant challenge to new players, and it’s here that most people will bounce off. Dark Souls is often difficult, but that difficulty is front-loaded. The game has a specific rhythm, a flow and precision of combat and movement that, once learned, can be applied in all situations. The early game difficulty stems from its chosen teaching method, which is in the Pai Mei style – harshly punishing mistakes, and sending you back to try again until you start to get it right. Upon death, you lose all of the unspent souls (the game’s hybrid currency/experience point system) that you’ve collected and are returned to the last checkpoint you manually activated. You can regain these souls only if you manage to reach the spot where you last died – if you die again before reaching that spot, the souls are lost forever. It’s often a frustrating process, but it forces you to play more cautiously and think about your combat strategy. After a few hours, you will start to surmount the wall, learning to read both the enemies and environment to identify weaknesses and opportunities, and use the terrain to your advantage while avoiding traps designed to catch those not paying attention. There, in community parlance, the true Dark Souls begins. Whether this steep beginner’s curve is an important part of the game or a poor design choice is the subject of long debate, but once the initial barrier is broken, the frustrating difficulty soon falls away and is replaced by thoughtful, designed challenge. As your skill improves, the difficulty dwindles further, and it’s arguable that the last act of the game becomes a little too easy. On a second playthrough (and the game definitely favours multiple playthroughs), those early journeys that once took hours of painstaking progress are now over in minutes. It’s a proud moment, because the game didn’t get any easier. You just got better. Get ready to die again, with beautiful new graphics, with a copy of Dark Souls: Remastered from Amazon! Dark Souls is a game that maintains a conversation with the player, using its environments to constantly spar and test their understanding of the mechanics and design language, and their ability to adapt and overcome new challenges. This conversation generally culminates in a bossfight, of which the game has plenty. Some are admittedly more fun than others, but each is memorable. From the towering Asylum Demon that begins the game to the showdown with the final boss, Dark Souls finds huge variety in its twenty or so face-offs. Some bosses can drastically redefine the battlefield by spewing dangerous, long-lasting lava right where you were about to retreat to. Some try to overwhelm you with speed, some with sheer size (and some, as in the case of the frankly lousy Capra and Centipede Demons, with poor camera controls. But those are outliers). 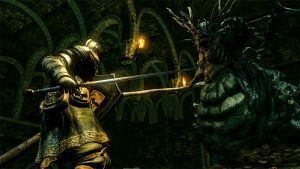 With some exceptions, these bosses often aren’t the hardest parts of the game – Dark Souls generally tries to keep the challenge split evenly between the boss arenas and the overworld (a format largely abandoned in the increasingly boss-focused sequels). At their best, these bossfights are dramatic, even-handed and fun – at their worst, they can devolve into trial-and-error slogs, with the player dying repeatedly until they’ve simply learned the boss’s moveset in enough detail to avoid each attack. 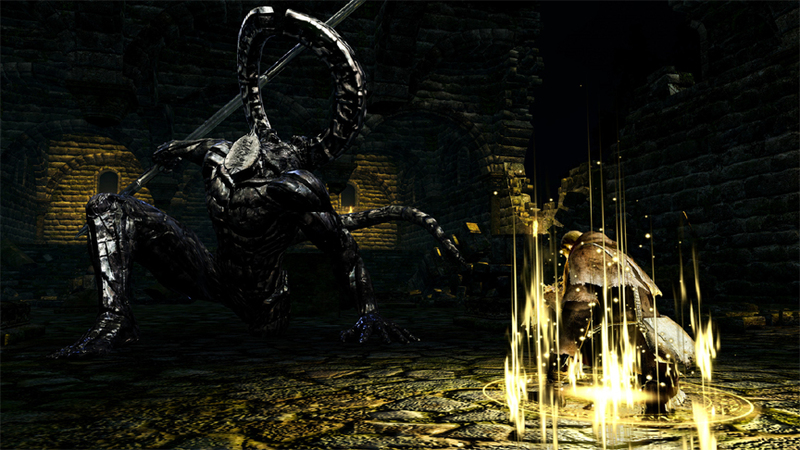 Souls features several flavours of multiplayer, both PvP and PvE. In the lore, these flavours make up the game’s nine discoverable “covenants”, but they are mostly variations on the game’s basic multiplayer structure. By using up a consumable Humanity item at a bonfire, the player can reverse their Hollowing and become human. This allows them to summon willing co-op players to assist them in a tough area or with a bossfight, making progress easier. 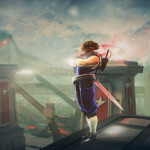 However, by doing this, the player also opens themself to “invasion” – the appearance of a hostile player opponent. 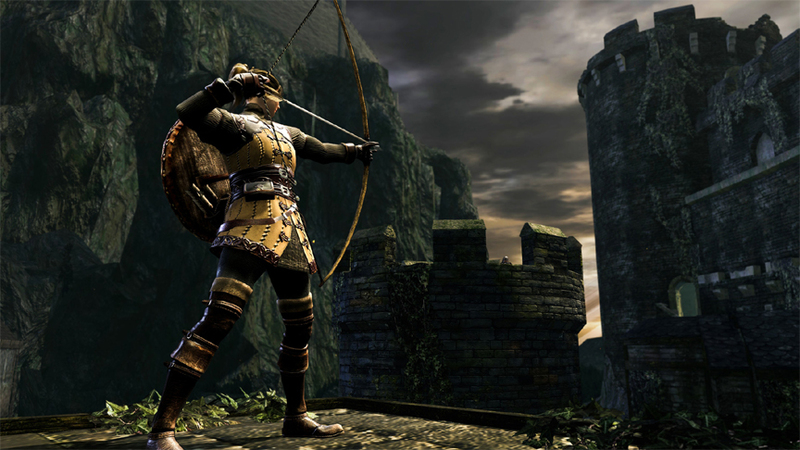 Engaging in the multiplayer is entirely a personal choice – the game can be completed solo, and beating every area and boss without another player’s assistance is the purist’s single-player Souls experience (and, with the original game’s community having greatly dwindled, generally the only way to play the first game until Remastered’s release). In the later game, players can choose to engage in more direct PvP, either in a specifically designed PvP arena mode, or in one of Souls’ traditional “fightclub” areas, community-chosen spots which have a high number of players invading and opening themselves for invasion. The game also allows players to leave notes for each other, picked from pre-designed message structures. Placing a note causes it to appear in the game world of any other players who happen to be connected to the same server that you are. You can’t be specific or type verbose explanations, but you can leave and read hints like “trap ahead”, “beware of tough enemy”, “try dashing attacks” and so on. These notes appear even to Hollowed players, and make even a solo game feel a little like a shared journey, with players spurring each other on with encouragement, advice, and even the occasional joke. Playing the game through for must be nearly the tenth time, I was still being alerted to things I’d previously missed via notes left behind by my fellow Chosen Undead. 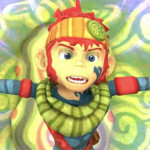 QLOC’s remaster of the original game aims to keep the experience intact. 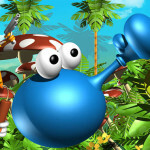 It limits its interference in the game’s systems and assets, fixing only what was needed to update the game to modern standards. It now runs at a fluid 1080p60 (tested on PS4), the particle effects have been revamped, and some tweaks have been made to the game’s covenants and multiplayer, notably adding the ability for extra co-op partners and invaders to be summoned at the player’s discretion. The remaster has also fixed some old bugs, and introduced some new ones – as I type this, the first official patch has been announced for next week. But at its core, this is still Dark Souls 1. It’s a remaster, not a remake. And while this is the perfect place for those new to the series to jump in, is it worth the upgrade if you already own the original? If you’re talking about the original PS3/Xbox games, or the rushed, resolution-limited original PC port, then absolutely – the visual and framerate upgrade is revelatory compared to the old 720p30 behemoth, which frequently dropped to single-digit FPS in the infamously choppy Blighttown, and in general it’s just great to have Dark Souls available on current-gen consoles. But with the help of user-created mods, PC players have been able to run Dark Souls in 1080p60 for a long time. Owners of the original on Steam get a 50 discount on the remaster, but even that’s a pretty steep price for a package that they essentially already own. One reason to make the upgrade might be the revitalised multiplayer community – since the remaster’s release, the game is more active than it has ever been. The original community had dwindled to the point that it was rare to find summonable players in any game – now there are frequently dozens of summon signs at the gates of every boss. 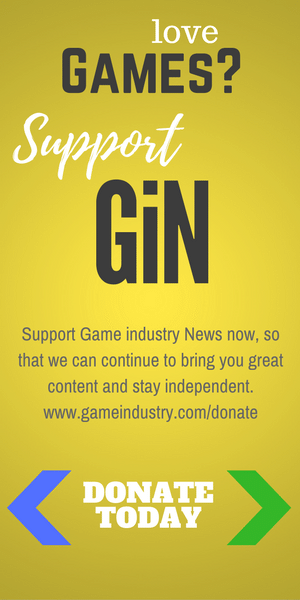 If you’re interested in helping a few new players learn the ropes, or engaging in the time-honoured tradition of invading and murdering newbies in the Undead Burg, then now is the time to jump back in. Dark Souls: Remastered updates and preserves one of the most important games of its generation, and in the end, that alone is a worthy reason for it to exist. But the game itself still shines, and is an adventure worth seeing through – a unique experience worth having in your lexicon. 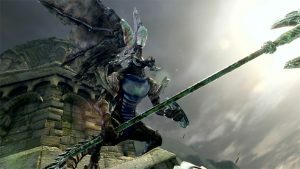 For players new to the series, this is the place to start – the sequels may be more polished, but they’re still only iterations on the original and best (well, alright, the now-defunct Demon’s Souls was the original original, but Dark Souls is the best). 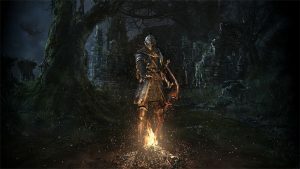 Returning players will welcome another trip through Lordran and enjoy the newly vibrant online community, and players who started with Dark Souls 3 should definitely come back and see how the cycle began. It remains to be seen how long the multiplayer will remain this active, but with or without it, Remastered is the best way to experience one of the best games ever made.